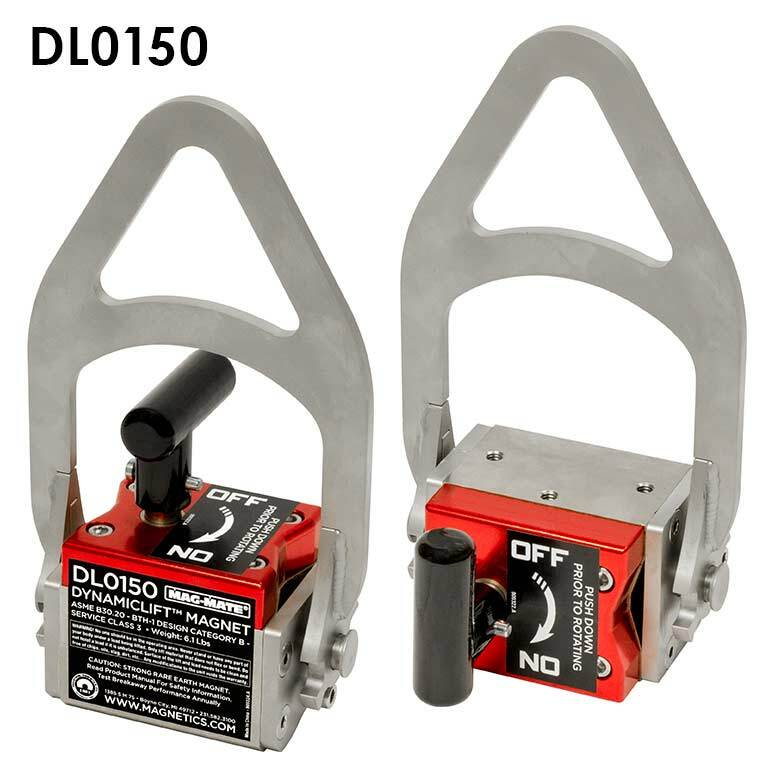 These lightweight and powerful Rare Earth permanent lift magnets can be used on flat or round surfaces and contain an internal release On/Off device that does not contact or damage the surface of the part being lifted. DynamicLifts™ also offer excellent holding on thin gauge ferrous metals to comparable Rare Earth lift magnets. 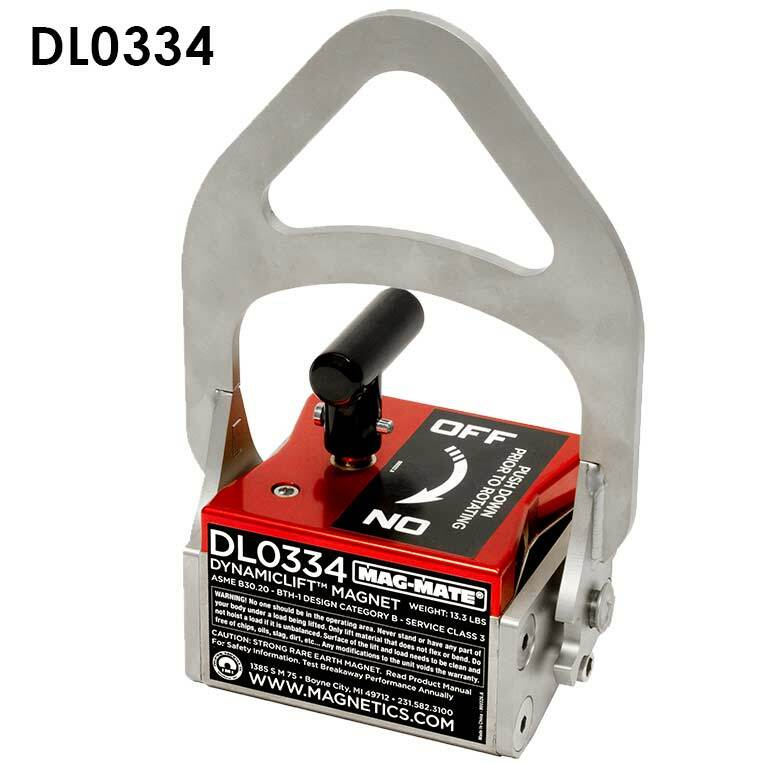 NOTE: the Working Load Limit (WLL) values for the DynamicLift™ Magnets are stated at 33% of the actual value. We recommend when lifting sheets over 8 feet in length, use 2 or more lifts on a spreader bar to prevent sheet flexing, sagging or peel-off. Thin material is susceptible to magnetic bleed through, resulting in two sheets being lifted at once. Consult the factory before specifying these magnets for use on round materials. Round Item WLL Values are based on ideal conditions. Length, wall thickness, diameter and surface can all affect the magnet's performance. *Maximum sheet lengths are selected due to the sag characteristics of the specified sheet. The item to be lifted must cover the entire length and width of the magnetic poles to properly engage and release.